Earlier in 2015, a breakthrough study published in the Journal of the International Society of Sports Nutrition showcased yet another remarkable benefit of Glutathione supplementation. This time it wasn’t about Glutathiones ability to detoxify the body or treat disease, rather its ability to improve athletic performance by suppressing muscle fatigue induced by prolonged exercise. Perhaps the best kept secret in the fitness supplement world. 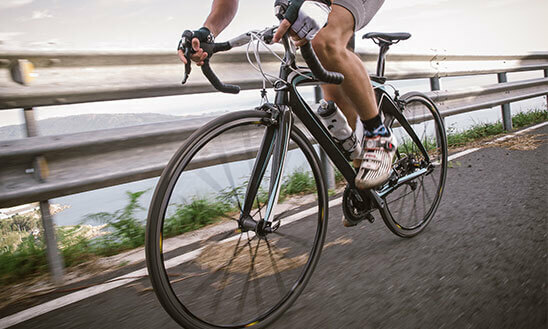 This study examined the effects of Glutathione intake on exercise-induced muscle metabolism and fatigue in mice and humans. Eight healthy men were administered either Glutathione or the placebo for a 2 week period. After the two weeks they exercised on a cycle ergometer at 40% maximal heart rate for a 60 minute period. Both psychological state and blood biochemical parameters were examined after the exercise period. In this cross-over study 4 groups of mice were also examined. In the human study, the elevation of blood lactate was suppressed by Glutathione supplementation. Fatigue-related psychological factors were significantly decreased in the Glutathione group compared to the placebo group. In the mouse study, post-exercise plasma non-esterified fatty acids were significantly lower in the exercise group supplementing with Glutathione compared to the exercise control group. Intermuscular pH decreased with exercise, but, this reduction was prevented by Glutathione supplementation. The results of the study suggest that Glutathione supplementation improved lipid metabolism and acidification in skeletal muscles during exercise. This leads to less muscle fatigue. Journal of the International Society of Sports Nutrition 2015, 12:7, doi: 10.1186/s12970-015-0067-x “Glutathione supplementation suppresses muscle fatigue induced by prolonged exercise via improved aerobic metabolism” Authors: Aoi W, Ogaya Y, Takami M, Konishi T, Sauchi Y, Park EY, Wada S, Sato K et al. With more and more research coming out on Glutathione, it is proving itself one of the most beneficial dietary supplements, period. Supplementing L-Glutathione directly is certainly effective, but it is only 1 way to improve GSH levels in the body. GSH Gold uses 3 distinct methods to improve overall GSH reserves. With precursors, promoting the body’s natural production of GSH. Through boosting the methylation pathways, improving recycling and production of GSH.